I really have nothing to complain about – I’ve led a very interesting and colourful life. Three marriages and four very different careers (teacher, book editor, entertainment journalist and, finally, food writer and cook. I have met and interviewed some major Hollywood stars and a number of our local actors and celebrities, some even became close friends. But one of my most treasured experiences was meeting and interviewing chef Ainsley Harriott. 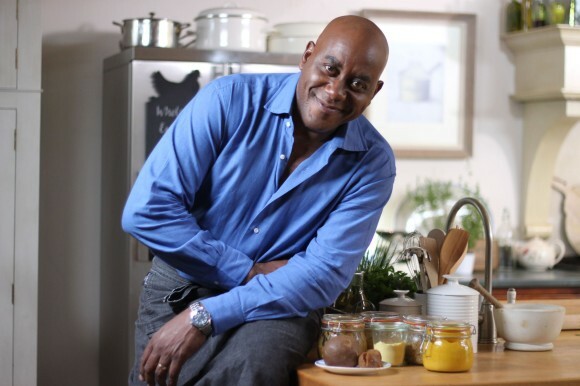 Ainsley is the British celebrity chef who came to South Africa to present our locally produced version of the highly successful British series Ready, Steady, Cook. He is also the writer of a number of cook books. What makes his recipes so interesting and colourful, extremely tantalising to the taste buds, is probably the fact that he has roots in Jamaica, where his family originally comes from. And for me, even from way before I met this impressive gentleman, this has also been one of my favourite combinations, with or without the ginger. This recipe for my one dish Lemon and Thyme chicken bake does not feature ginger, but it certainly delivers on taste.